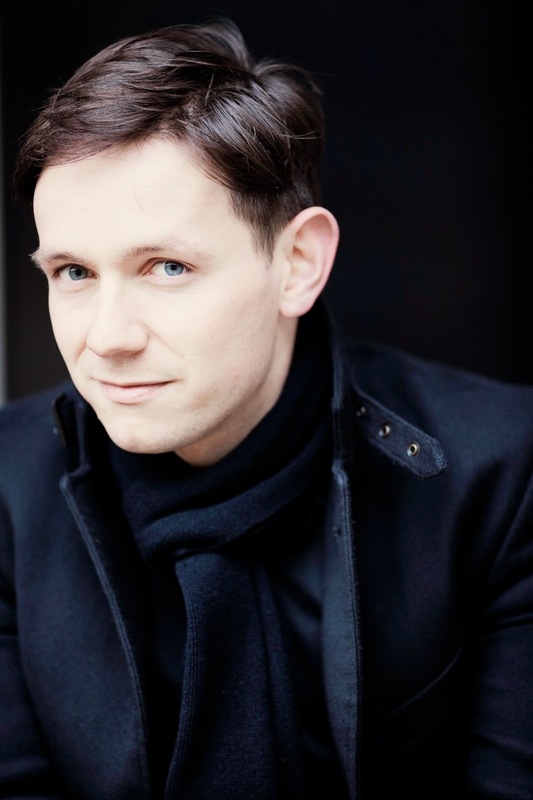 The Spitalfields Music Winter Festival opened in fine style on 5 December 2014 at St Leonard's Church, Shoreditch when counter-tenor Iestyn Davies and lutenist Elizabeth Kenny performed a programme of songs Purcell and Dowland, plus an aria and a cantata by Handel. All were in the intimate form of just voice and lute in a church which, apart from a spotlight on the performers, was lit only by candles. The festival had sold only the nave seats, those with a full view, and put some of the audience on the stage, to make the setting more intimate. Earlier this year I had a conversation with a distinguished Handel and Bach conductor about performing baroque music in large venues, and he talked about the necessity of the performers drawing you in. And this is what Davies and Kenny did. Neither attempted to big the sound up to dominate the venue, instead intimacy was performed and despite there being an audience of a hundred or so people, you felt that this was all very direct and communicative. The title of the programme was England's Orpheus, and Davies had teamed up three rather different composers (Handel, Purcell and Dowland) who had each at some time been referred to as Orpheus by their contemporaries. Rather intriguingly he included Handel's cantata Hendel, no puo mi musa with words by Cardinal Pamphili which laud Handel by liken him to Orpheus. Davies and Kenny started with a group of works by Purcell, the songs Music for a While and Sweeter than Roses, two lute solos A Song Tune and Rigadoon and finally Tis Nature's Voice from Hail, Bright Cecilia. Whilst Purcell wrote for larger forces, these songs work well with just simple accompniement, even the excerpt from Hail, Bright Cecilia. Throughout Davies was impressive in the way he sang the line with clarity and purity, while preserving a certain richness of tone and bringing a lovely shape to the melody. Words counted for much, as they should in such an intimate setting, and the songs were highly vivid without ever veering into preciousness. Kenny was actually playing a theorbo, and had arranged the two lute solos for this instrument, the one piece elegantly rhythmic, the other nicely lively. The final work in this group, the solo from Hail, bright Cecilia showed off Davies's lovely fluid melismas, which developed into a moment of positively orgasmic sighs. For Dowland, Kenny moved to a lute; throughout the concert she alternated between lute, archlute and theorbo, providing an interesting variety of depth of tone and richness. Kenny and Davies's first group of Dowland consisted of the songs, Come Again, Flow My Tears, the lute solo Semper Dowland, Semper Dolens, and finally the song Now, O Now I needs Must Part. Come again was sung by Davies with quite full tone, moving to a more intimate tone in later verses. There was some vivid detail, with the voice seductive, yet cool and clear. Flow my tears was fined down and elegant, with the voice a plangent thread. Davies and Kenny were piercingly intense here in a mesmerising performance. Kenny's solo, Semper Dowland, Semper Dolens (which may in fact give us a hint as to how Dowland's name was pronounced at the period) was finely melancholy with lovely rich textures developing some elaborate ornamentation as it progressed. Now, O Now I Needs Must Part was sung in an elegant triple time feel, with the haunting vocal line complemented by increasing elaboration in the lute only verses. After the interval (when wine, mince pies and panetone were available from the local Leila's Shop) we had more Dowland with In Darkness Let Me Dwell, the lute solo King of Denmark's Galliard, Can She Excuse My Wrongs? and Sorrow Stay. In Darkness Let Me Dwell had the feeling of a beautiful, haunting line really pushed to the emotional edge. The lute solo was a finely rhythmic piece over which Kenny demonstrated some amazingly dextrous fingerwork. In Can She Excuse My Wrongs Davies's appealing performance vividly conveyed the songs meaning in both music and via a very speaking countenance. Both he and Kenny took the faster passages at a dazzling speed. Sorrow Stay was an intense thread of sound, tone which cut the heart like a knife. Handel's Oh Lord Whose Mercies Are Numberless from Saul is one of the most simply beautiful pieces Handel wrote, and here was rendered with intimate beauty by Davies and Kenny. They followed this with the cantata Hendel, non puo mia Musa which combined vividly impulsive recitative with a pair of elegant arias, whilst the second aria did have some elaborate moments the end result was more intimate than showy and the piece had a compactness which not all Handel cantatas do. Perhaps he found the words a bit embarassing, certainly in old age he referred to Cardinal Pamphili as an old fool, and Ellen Harris suggests in her book Handel as Orpheus that Pamphili's admiration for the twenty-something year old (and attractive!) Handel might have been more than just musical. Kenny's theorbo solo, a Prelude and Chaconne by Robert de Visee (1655 - 1732/3) might have seemed something of a sport, but in fact Kenny explained that much of Visee's guitar music appears in a manuscript book which was created for Princess (later Queen) Anne to play, thus giving us an idea what people played in their own homes during Purcell's period. The recital finished where it started, with a selection of Purcell with By Beauteous Softness from the birthday ode Now Does The Glorious Day Appear, If Music Be The Food Of Love and An Evening Hymn. By Beauteous Softness had a regular chaconne-like accompaniment over which there was a luidly flowing and undulating melody. Davies and Kenny made If Music Be The Food Of Love quite lively and very vivid, whilst An Evening Hymn as simply beautiful. Quite Perfect. An Evenng Hymn by candle-light made the perfect end to the concert, but of course the audience would not let Davies go that easily. We were treated to Rinaldo's Cor ingrato from Handel's Rinaldo (both Davies and Kenny took part in this summer's production of the opera at Glyndebourne), and a hilariously suggestive song by Thomas Morley with a refrain which put a whole new NSFW gloss on hey nonny no (Elizabethan madrigals will never be the same again!). As we left there was a collection from Spitalfields Music's wonderful education and outreach work, they are 25 years old this year and are 21/25 of the way towards raising £25,000 in celebration (further information from the Spitalfields Music website, and donate here).